Cannabanoids are miracle compounds for many afflictions, including ones in the bones, brain and the immune system. One specific molecule, cannabidiol (CBD) is naturally occurring in the hemp plant. Many people are frightened and/or confused about the use of the plant for any purpose due to its psychoactive properties. This article focuses on the safety and viability of CBD, the non-psychoactive compound found in the hemp plant. In clinical recovery, CBD provides many opportunities for healing that do not exist with any other substance or plant, especially when the nervous and immune systems are interacting with one another in dysfunctional patterns. "Most people have not had their cannabinoid system supplemented since they were breast-fed. If they were not breast-fed, this system has not been supported since birth." Later, in 1993, another group of scientists discovered the CB2 receptor. Two forms of CB2 receptors are found in peripheral tissues and organs (especially in the immune system cells), in the testes and brain, and in the enteric nervous system (which helps to regulate GI tract mobility). All CBD compounds originate from arachidonic acid. Arachidonic acid is a polyunsaturated omega-6 fatty acid which is abundant in the brain, muscles and liver. It is an important regulator of inflammatory response in the body. As fat-based mediators, CBD compounds are responsive to the regulation of cholesterol levels in the body and can be negatively impacted when cholesterol is too low or is not properly synthesized. There is likely an important immune modulation process at play here, discussed in greater depth below. The same team, in earlier research, discovered that CBD stimulated bone formation and inhibited bone loss. This paves the way for the future use of cannabinoid drugs to combat osteoporosis and other bone-related diseases. Inflammation is a physical response to the injury of body tissue from direct trauma, toxins, and/or pathogens such as viruses and fungi. Blood flow increases to the injured tissue along with body temperature, swelling and pain. Inflammation in acute injury is very beneficial. It isolates the damaged area and mobilizes protective cells which work to remove damaged cells. However, when the process is not properly modulated, inflammation can become chronic and tissues can be damaged and destroyed. Essentially, when one tactic used by the immune system has not resolved the injury or infection, a new one will be employed and the inflammatory process extends and becomes more complex. As Dr. Hicks states, this can lead to "a continued interaction with the extracellular matrix", desensitizing immune receptors which become saturated and then begin to down-regulate. Ongoing immune responses of this type can lead to all types of autoimmune diseases as the body forms antibodies against smoldering immune conditions. The immune system is balanced between two sides, the TH1 and the TH2. With proper immune modulation, the system should utilize a shifting process between the two sides. In chronic types of immune imbalance, however, there is a preferential shift to TH1 regulation vs. the teeter-totter type regulation. With a TH1 shift, there is greater promotion of cytokines, chemokines and interleukins, all of which further an inflammatory response. It has been proven that CBD can be helpful in supporting the end of TH1 regulation and destruction, including the reduction of interleukin-8 and other chemokines. (3). Neurotransmission is controlled both by the brain and the gut. CB1 receptors have the highest expression of any G-protein in the brain. Let's explore a bit more about G-proteins. Also known as guanine nucleotide-binding proteins, G-proteins are a family of proteins that act as molecular switches inside cells. They are also involved in transmitting signals from a variety of stimuli outside a cell to its interior. Their activity is regulated by factors that control their ability to bind to and hydrolyze guanosine triphosphate (GTP) to guanosine diphosphate (GDP) (4). GTP is a high-energy nucleotide which is important in the activation of fatty acids and in protein synthesis. The dephosphorylation of GTP to GDP is critical. The reversible phosphorylation-dephosphorylation reaction occurs in every physiological process, establishing proper function of protein phosphatases, which are necessary for organism viability. Because protein dephosphorylation is a key process involved in cell signaling, protein phosphatases are implicated in conditions such as cardiac disease, diabetes, and Alzheimer's disease. Recent findings have shown that CB1 receptor activation enhances protein synthesis, which modulates neurotransmitter balance in long-term brain plasticity (Younts et al, 2016). For Alzheimer's and dementia conditions, these are notable findings. Also importantly, recent studies have located connections between chronic anxiety and higher risks for development of Alzheimer's disease (5). The endocannabanoid system helps to modulate stress responses and is heavily expressed in the brain. The limbic system, hippocampus, HPA (hypothalamus pituitary axis), and amygdala are all impacted by the activation of CB receptors. The expression of G-protein couple receptors (GPCR) by CB1 receptors is comparable to that of NMDA (glutamate) and GABA receptors in the brain (Freund et al, 2003). The levels of expression appear to be astonishingly variable amongst brain locations, and also appear to be dependent upon the cell type and/or compartments in which they are expressed (6). While much more needs to be clarified through study about how the expressions are regulated, we do now know that the endocannabanoid system plays a significant role in neurotransmission. One particular understanding that is currently developing is that pools of CB1 receptors may function as reservoirs, available to be used rapidly in stressful conditions. Regular use of CBD allows functional levels to be maintained in these reservoirs for such use. CBD is useful in treating many types of neurotransmission imbalance, including PTSD, anxiety, and depression. Dr. Hicks explains that CBD has a biphasic response (7). This means that the compounds have two distinct phases, both releasing and inducing stress responses. Careful attention to a person's constitution, inclusive of the interplay between the nervous, immune, and methylation systems in the body can provide a just-right approach for achieving balance. It was formerly believed that GPCRs were present only at the plasma membrane. Studies described as "elegant" have shown that different types of GPCRs are also located inside the cell (Irannejad et al, 2017 & 2013, Jong et al, 2016; Jalink and Moolenaar, 2010). These discoveries provide understanding that both water and lipid-based pathways allow CBD to activate CB1 receptors located within membranes and mitochondria, thus triggering G-protein signaling (Rozenfeld and Devi, 2008). Mitochondria regulate numerous cellular processes that are crucial for high-energy organs in the body (such as the brain, heart, and liver), most notably ATP production and tight modulation of calcium. These functions are absolutely necessary for normal synaptic transmission and energy production in the body. ATP is the energy which runs all body systems and is the end product of proper nutrition, efficient digestion, and assimilation. Mitochondria regulate its distribution and may be optimized by activation of CB1 receptors. Individualized therapy with CBD is useful in mitigating conditions which involve mitochondrial stress, such as viral infection (EBV & Herpes family viruses), CFS (Chronic Fatigue Syndrome), fibromyalgia, heart disease, and many others. 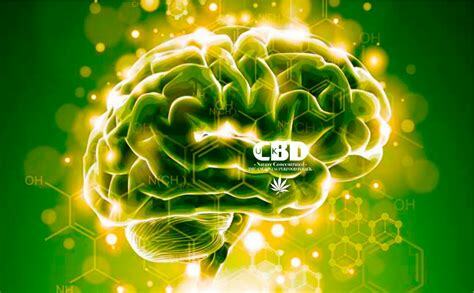 Further discussion of CBD and its powers to relieve disease progression, especially in neurological diseases, is forthcoming. But, let's take a moment to celebrate that neurological, degenerative diseases such as MS, Alzheimer's, Parkinson's, autoimmune encephalitis, epilepsy, and eating disorders appear to be likely benefactors of new information and studies on CBD. At the heart of this exploration is the role CBD and CB1 receptors play in the liberation of gliotransmitters. Because glial cells greatly outnumber neurons in the brain, accounting for over 70% of all cells in the central nervous system, gliotransmitters released by astrocytes have the potential to be very influential and important within the central nervous system, as well as within other neural systems throughout the body. These cells do not simply carry functions of structural support, but can also take part in cell-to-cell communication with neurons, microglia, and other astrocytes by receiving inputs, organizing information, and sending out chemical signals (8). This creates a "pyramidal" type signaling and synaptic response that carries much greater potential for modulation and regulation of neurological imbalances. As in all healing, it is important to address the body and mind completely/holistically. At True Nature, together we will optimize your nutrition, detoxification, immune function, and mental/emotional processes in order to achieve whole health. CBD is a very safe and powerful natural medicine, if used properly and individually for your needs. Also as in all other healing, the use of very high quality products is a necessity. At True Nature, I share sources of the cleanest, purest forms of CBD available.